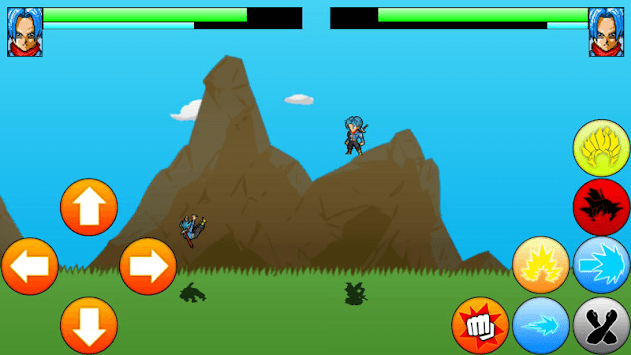 Power ultimate heroes arena, strongest warriors in pixel graphics. Fan of db fighting games & dragon Z heroes fighters. all heroes and villains form Z /KAI/GT are here, choose one and fight the others in 1 vs 1 or in survival mode, ssj, ssj2/3 and 4 are here , as well as the famous ultra inst. there super ultra transformation of fighter z like saiyangod, ssjblue, golden forms of frieza and cell and forst. 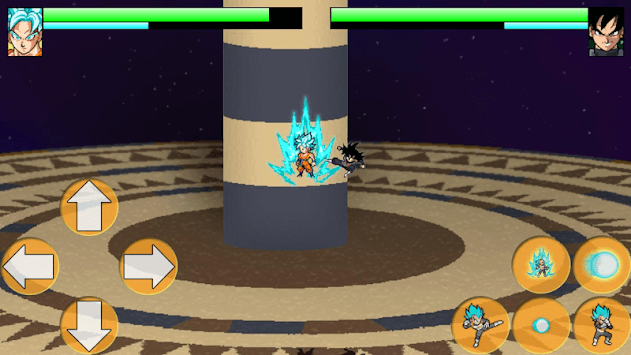 enjoy the ultimate attacks of warriors, such as kemeha, dragon recall, energy ball m and death balls, a fighting game is here waiting for you, good luck in the best pixel z S champion game. ultra form like ssj ssgod/blue/ultra, ssj of blackgoku, golden forms, and more. enjoy the saiyan battle of the z champions fighters. Enter one of the game modes between quick match, tournament, online multiplayer or practice, choose the stage to fight and the character you like to fight against other warriors using combos and ultimates. -Use the key buttons to move in four directions. 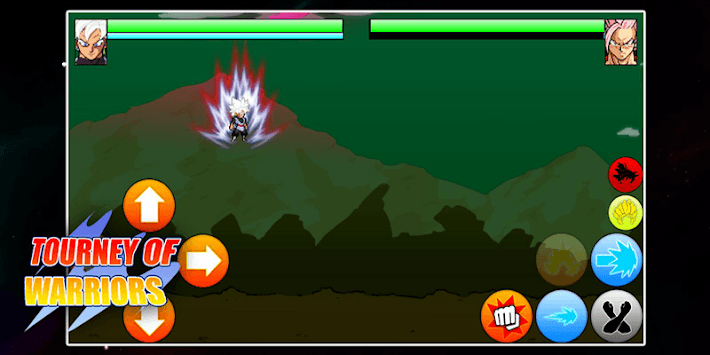 -Use the punch button to attack and do combos. -Use the block button to block physical attacks or energy balls and also dodge when you're being hit by a combo. -Use the charge energy button to load your energy bar. -Use the ability button to cast your special ability. -Use the energy ball button to throw energy balls. -Use the transform buttons to become stronger.